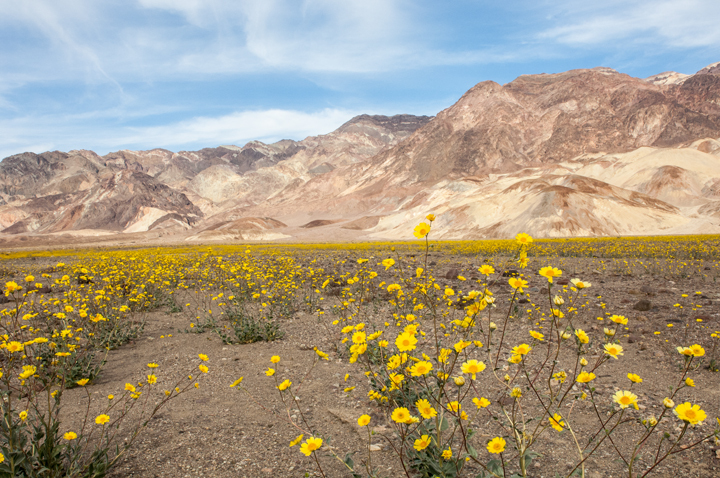 On the unusual occasion that there is a heavy spring rain in Death Valley, it is always a real treat to check on the wildflowers. I took this photograph of Desert Gold stretching across the valley floor and up to the base of the mountains. I think it’s likely Desert Gold that is blooming all along 166 right now. It’s stunning!